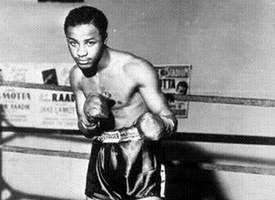 Johnny Bratton is often overlooked, but the former welterweight champ had a profound impact on the city of Chicago, and two giant figures in particular—Miles Davis, and Muhammad Ali. 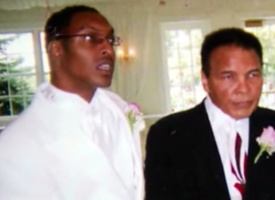 Muhammad Ali, Jr. was held for nearly three hours and repeatedly asked about his religion. It takes a certain amount of privilege to be able to ignore the politics inherent in fight culture. 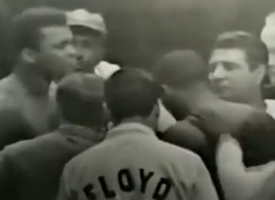 The 1965 heavyweight title fight between Floyd Patterson and Muhammad Ali was billed as an intraracial battle between a good guy and a dangerous black radical. 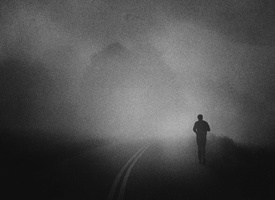 Like much in Patterson's life, the truth was disguised. 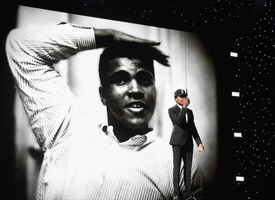 A couple of greats celebrated The Greatest. 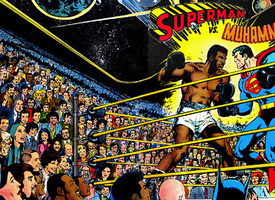 Muhammad Ali was the inspiration for artists around the world. Several of them talk to us about their pieces. 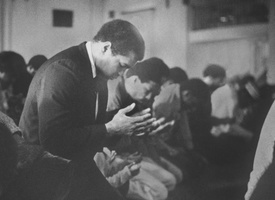 Even in death—even when history has proven him right—America still fears and struggles with the black Muslim man who stood up for himself and what he believed in. 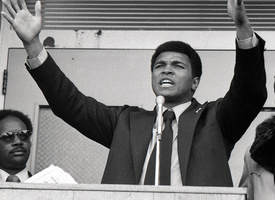 Muhammad Ali's career was built around an unrelenting refusal to give in and a desire to win on his own terms. 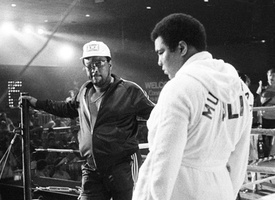 We examine how this stubborn streak helped Ali as a goofy young boxer and as an aging ring general. 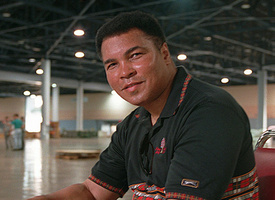 Even as Parkinson's abbreviated his public life, Ali remained an inspiration for the millions living with the nervous system disorder.